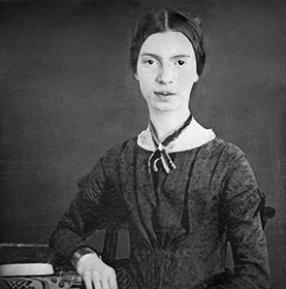 EMILY DICKINSON (1830 - 1886) was an American lyrical poet,and an obsessively private writer. Only seven of her some 1800 poems were published during her lifetime. Dickinson withdrew from social contact at the age of 23 and devoted herself in secret into writing. Unrecognized in her own time, Dickinson is known posthumously for her unusual use of form and syntax.